We are learning to look closely at the natural world; discuss what we see and talk about changes that take place over time. We are also learning to use our words to sequence events, to share our thoughts, feelings and ideas. The children think carefully about whether eggs are alive or not. Some of us think they are because things like chicks can come out of them whereas some of us think eggs are not alive because we eat them for breakfast. We watch the eggs in the incubator very carefully to see what happens. We keep a diary of the changes until the chicks hatch. We learn how to look after them by topping up their food and changing the water, sawdust, and newspaper. It is fun to help! "The chick goes from yellow to brown, they loose their fluffy stuff and they grow feathers, the yellow ones are the boys and the brown ones are the girls. The brown one will be a mummy hen and she will lay eggs." "It's an egg to a chick and then the girl one changes into a mummy hen, she looses her baby feathers and gets grown up feathers." "They were eggs and then they turned into a chicks when they were born, then they grow to adults. I have held an adult chicken at Bocketts Farm. As they get bigger they get more feathers." "They got lots of feathers, they are getting bigger, they eat food and drink water. Now they can run." "First the chick is in the egg, then it hatches and it turns into a hen. 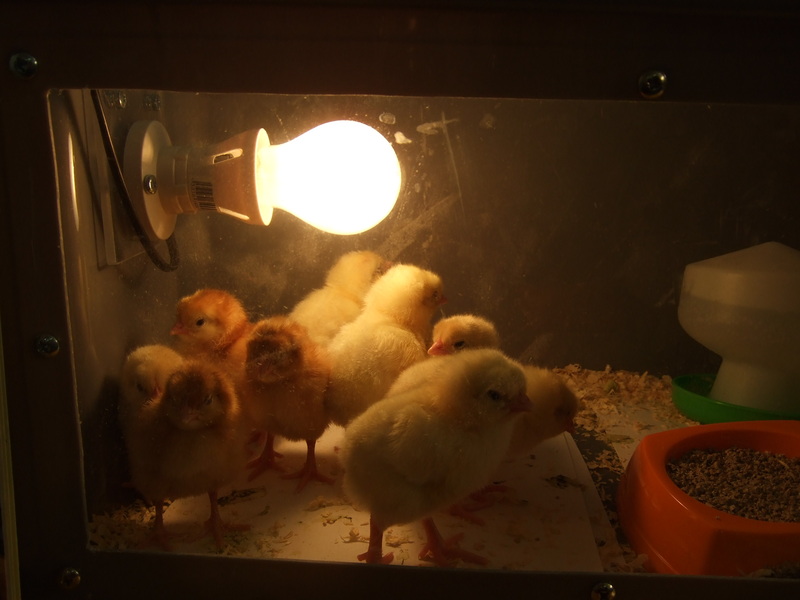 They get more feathers as they get bigger"
"All the chicks are growing, they have food and water to help them grow. They get feathers as they get bigger." It is great when we are able to use the words from our topic to talk about things! Then we learn that all sorts of creatures come from eggs from turtles to snakes! 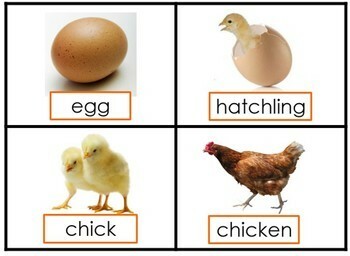 We learn about the life cycle of a hen and other animals that come from eggs. 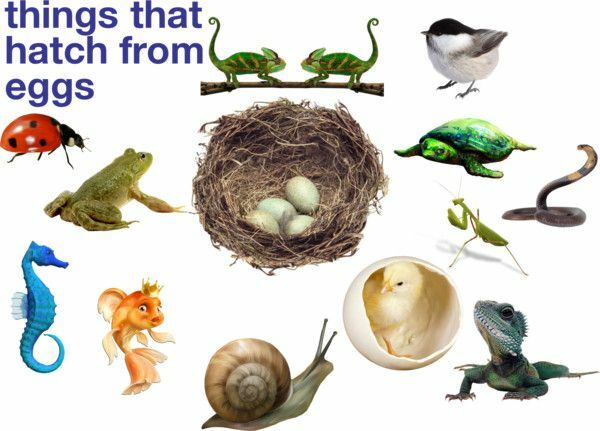 It is a bit confusing to learn that not all animals come from eggs; some do and some don't. We learn the song 'The Animal Jamboree' to find out about animal babies on the farm. https://www.youtube.com/watch?v=x8tHwQ9Qwzk Try the link at home. 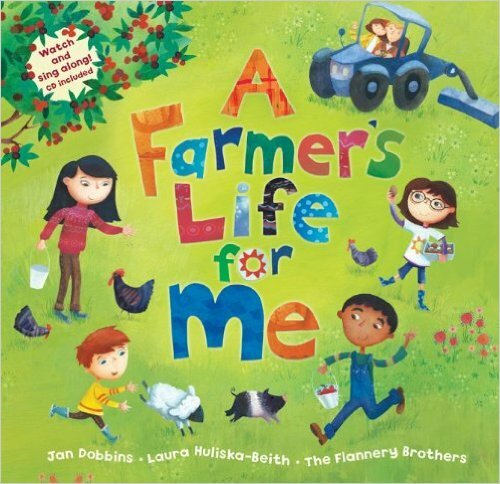 We listen to the story of 'The Farmers Life for Me.' We make a talk map to help us to learn about the farmer's day and how he looks after the animals. The best way to learn about what happens on the farm is to visit one so all Reception children go to Bocketts Farm. It is a super exciting day! lambs if they needed it. We learn that these animal do not come from eggs! We go on a tractor ride that goes all the way around the farm. During our journey we see pigs, goats, horses, cows and sheep. The ride is funny because it isso bumpy! We also visit the animal barn where we see a mummy pig and her piglets, a huge cow and baby lambs. Before we have our lunch we wash our hands thoroughly so that any germs from the animals do not make us sick. After lunch we are able to play which is super exciting. We have so much fun exploring with our friends, going down huge slides, riding on tractors and jumping high on the trampoline. Some of us are even able to do somersaults! Sadly, because all good things come to an end, we have to get ready to return to school. Because we have had such a busy day, lots of us fall asleep on the coach. Phew, what an exciting day! When we get back to school we write about the farm trip and talk about all the things we have learnt. Now we can look closely at the natural world; discuss what we see and talk about changes that take place over time. We can use our words to sequence events, to share our thoughts, feelings and ideas. Following all our learning about which animals come from eggs and which animals do not, we are ready to begin our new learning by inventing our own mysterious creatures which come from eggs. In our Mysterious Creature project we are learning to use and explore a variety of materials, tools and techniques, to experiment with colour, design, texture, form and function. 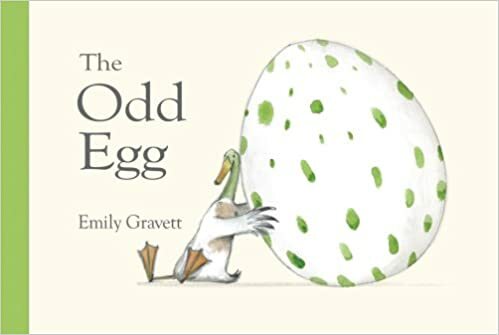 We listen to the story of 'The Odd Egg'. The odd egg has green spots on a white background. The green spots are a clue as to what mysterious creature might hatch. Out pops a green crocodile! We decide to design our own eggs with a mysterious creature inside. We think about our favourite characters and use our ideas and interests to imagine a mysterious creature. "My mysterious creature will be a magic unicorn. I need gold sparkle glitter to make my spots. It will make it all magical and shiny." "My mysterious creature will be a train that can go super fast in the air. The egg will have tracks for the super fast train." "My mysterious creature will be a Bat Man dog. It will have a long tail and black on it." "My unicorn egg, will have stars and chocolate eggs and lasers." To make our eggs we look at our design carefully. We talk with our teachers about the colours we plan use, the textures we want to create and the resources we need. We use tools like glue spreaders, scissors and paint brushes safely and with control. We use a variety of media to create our eggs. We look carefully at our designs as we work, suggesting improvements to make our eggs even better by paying attention to details. Last of all, we make connections between everything we have learnt about new life to the Easter story. We learn about the Christian celebration of Easter and listen to Easter story and sequence the events. We have fun making woollen bunnies, paper plate bunnies and counting Easter eggs and we learn about how wearing Easter bonnets is a tradition. 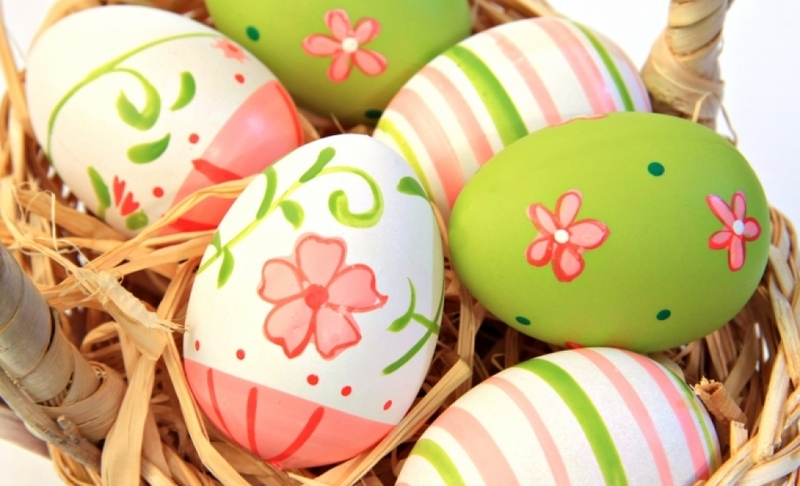 We compare and contrast the ways we celebrate Easter with other traditions and festivals. For example, Christians send cards at Easter and Hindus send cards at Diwali. Some celebrations are special to Easter. For example, the Easter Bunny only comes at Easter time. We learn about Christian beliefs and that Christians believe that Jesus came back to life after he died on the cross. We know that this happened on Easter Sunday and we give eggs at Easter time to remind us of what happened to Jesus and to celebrate new life. We enjoy making Easter cards and Easter nests, they look really delicious! Now we can can use a variety of materials, tools and techniques and experiment with colour, design, texture, form and function. We can also compare and contrast celebrations.